It was almost about five decades ago that sons of the soil stood guard to defend the frontiers of the country and saved the motherland from being occupied by forces that always considered creation of Pakistan a mistake and wanted to undo the partition process. 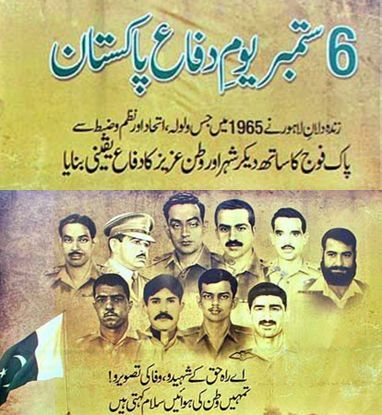 But the people of Pakistan joined hands with the gallant armed forces of the country to stand like a iron wall to defeat the enemy much larger in size and equipment. Above are some of the heroes that have laid their lives with extreme valour and dedication since Pakistan was created and were awarded the highest gallantry award of Nishan-e-Haider. But today, we have another war to beat back. While all previous wars were conventional and against a known enemy, the war being fought by the armed forces of the country is different in may ways. It is a war by undefined enemy, with the the same religion and same attire - an enemy difficult to recognize until it strikes. More than the men who laid down their lives in the conventional wars, have been martyred by the enemy that considers everyone but them as infidels and kills Muslims in mosques and roads. This enemy destroys schools and hampers polio vaccination, which is adding the polio related patients in the country. For them a crippled son or daughter is better off for life than being administered with polio vaccine. 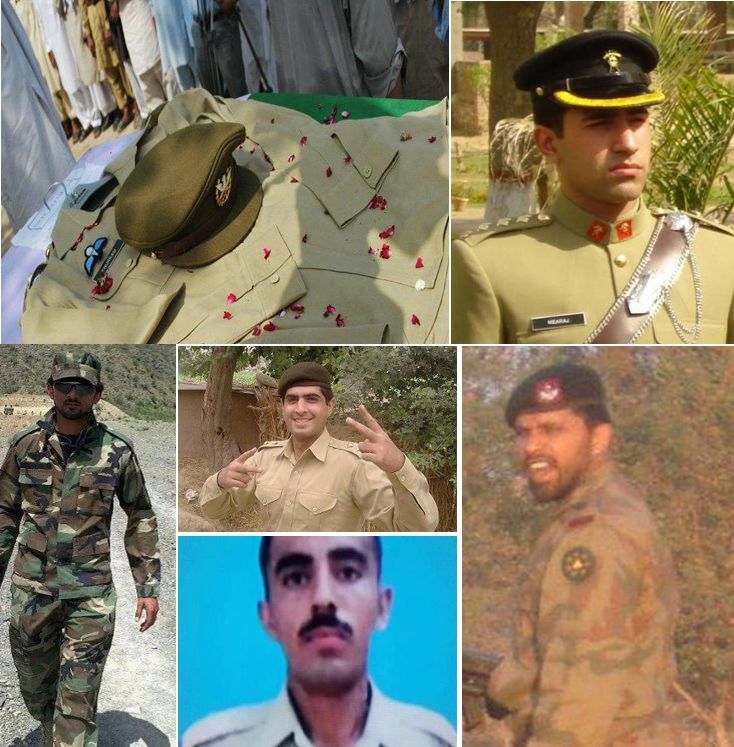 A large number of beautiful young men have laid down their lives to rid the country of this treacherous enemy, who to offers prayers, but calls everyone other then their own flock infidels. But everyone of us knows who is infidel and who is otherwise. The enemy has no laws as it beheads captured soldiers - something not even done by the Holy Prophet, who always advised treating of captives with leniency - but this enemy with axes in his hands spare no one who is captured. The blood of all the martyrs of the armed forces of the country and those countless civilians who have perished in this battle for survival of Pakistan will never go waste, God willing, and one day we shall have peace as we had before and take this country forward - not backward. A country where the girls will their schools rebuilt, which were blown by these militants and there will be no polio hit children. That day is not far, I swear.